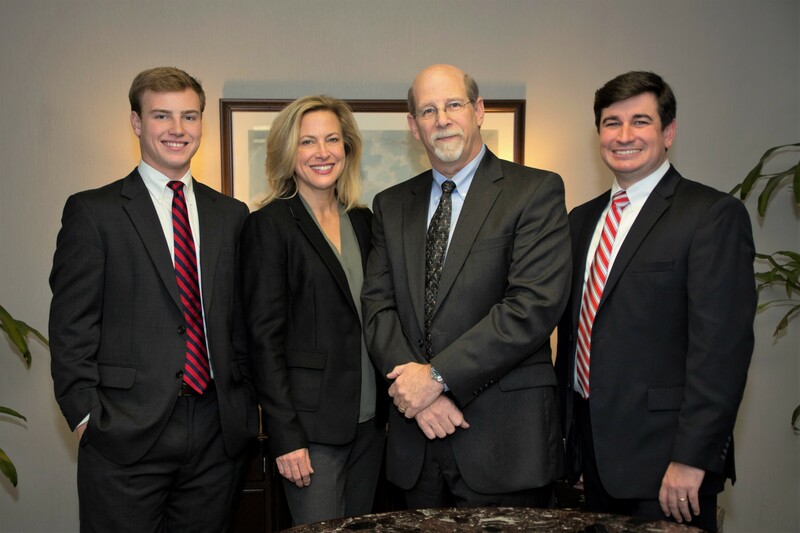 Home | Jaffe Wealth Management & Consulting, Inc.
You can have peace of mind knowing that you are working with a qualified, educated financial advisor and an equally-qualified support team. That peace of mind shouldn't be a luxury only available to the rich. It’s something we all deserve. You should expect no less. The trust you place in your financial advisor should be of the utmost importance to him or her. With all of the focus lately on an industry shift to more fiduciary accountability, this is a role we’ve proudly embraced all these years already. And it’s a role we don’t take lightly. Jaffe Wealth Management & Consulting, Inc.
Edwin Jaffe, CFP® has been in the financial planning business for over 30 years. As a husband and father of two, he understands the impact a good financial plan can have on families’ futures. After starting out in the wire-houses and operations desks in the corporate world, it was apparent to Edwin that the large investment firms, and really the industry as a whole, was not looking at the full picture for their clients. Rather than focus solely on the investment assets, as stock traders and brokers were accustomed to, Edwin knew that in order to act in the best interest of the client(s) he must take into consideration all aspects of their financial picture. So in 1987, he began work to obtain his CERTIFIED FINANCIAL PLANNERTM designation. Over the next 3 years, he went on to become totally independent as a CFP® certificant. It was then that Edwin’s practice started to really take off. In the early days, a client base of mostly family and friends started to really “buy into” this holistic, comprehensive approach Edwin often talked about. And it didn’t take long for their newfound financial peace to spread to others. Edwin’s reputation for explaining complex financial concepts in a simple, easy-to-understand way has helped to build a large, successful practice the RIGHT way…the ONLY way. By doing the best job possible for each client, as if they’re the only client. The process Edwin implements, by design, is closely aligned with the elements of the CFP® process. From RETIREMENT, INVESTMENT, and INSURANCE planning, to consideration of TAX and ESTATE issues, his practice examines all areas that are material to the individual client’s situation. In addition to being a CERTIFIED FINANCIAL PLANNERTM, Edwin is an Investment Advisor Representative of Jaffe Wealth Management & Consulting, Inc. and Silver Oak Securities, Inc., both Registered Investment Advisory firms. He is also a licensed producer for life, accident, and health insurance. Brad Kessler, CFP® has been in the business since 2010. A native Memphian, husband, and father of two, Brad was brought up in a small, family-owned business. He knows the importance of not only giving a high level of service and a careful attention to detail, but also understands how crucial it is to stay current on issues vital to his industry. Early on in his career, Brad developed a successful approach to helping clients navigate through Social Security and Medicare planning. His reputation for educating clients on their options helped elevate his practice in a very short amount of time. As a “disciple” of Edwin’s hands-on, “keep-it-simple” philosophy, Brad’s dedication to taking care of his clients also led him to obtain a CERTIFIED FINANCIAL PLANNERTM designation. Together, this team of two CFP® certificants embodies the holistic, comprehensive process that loyal clients have come to embrace for years now. Brad credits Edwin with getting him into the business and training him the RIGHT way on how to treat clients and build a great practice organically. As a testament to this approach, Brad has been asked to consult with other advisors on their process and best practices. In addition to being a CERTIFIED FINANCIAL PLANNERTM, Brad is an Investment Advisor Representative of Jaffe Wealth Management & Consulting, Inc. He is also a Registered Representative and Investment Advisor Representative of Silver Oak Securities, Inc., a registered Investment Advisory Firm and broker/dealer. He is a licensed producer for life, accident, and health insurance. Bridget Jaffe has been in the financial services industry for over 20 years. She received a B.S. in English from the University of Tennessee, and later followed it with a Master of Public Administration from the University of Memphis. After she and Edwin married, she began working in the office, and over the years has helped with virtually every aspect of the business. As her role and involvement became more vital to the firm, she became insurance and securities-licensed to better assist with client needs. In addition to servicing the directly-held mutual fund and annuity clients, Bridget assists with client support and communication and manages critical records and bookkeeping for the firm. Rob recently joined the practice in June of 2017 after graduating from The University of Tennessee. In his free time, Rob is an avid sports fan as well as athlete himself. He actively participated in UT Intramurals, and is extremely passionate about the Vols, as well as the Cardinals, Titans, and Grizzlies. He enjoys hunting down live music with his friends, and spending time at the family farm and on the golf course. Rob knew he wanted to join the business from an early age, and tailored his education to prepare him for that. During his college years he interned with a major Annuity Provider as well as spending time with a major ETF provider and a Broker-Dealer to get a glimpse of financial services from several different angles. He also was the Treasurer of his fraternity, a member of the UT Investment Group, and the Financial Management Association. These allowed him to put into practice much of the knowledge he was learning on his way to a Double-Major in Accounting and Finance from the Haslam College of Business at UT. Rob is currently providing much-needed operational support for Edwin and Brad. In addition, he is studying for his Series 6 & 7 Licenses and plans to get his CFP® designation along with a Master’s Degree in Financial Planning. © 2019 Jaffe Wealth Management & Consulting, Inc.. All rights reserved.